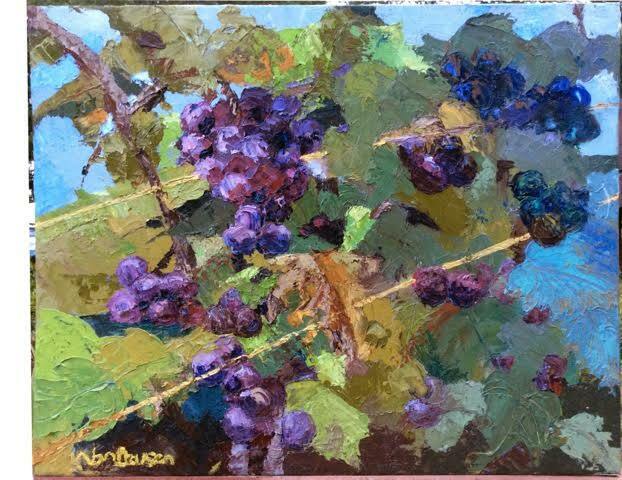 Enjoy browsing VanDeusen Design landscape paintings on this site as well as in person, if in the Spencerport area. 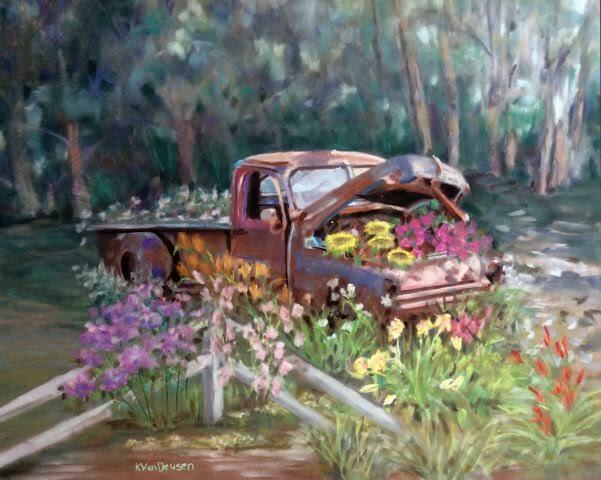 Always interested in Art, Architecture and Gardens, I pursued Commercial Art earning a degree in Graphic Design from the Art Institute of Pittsburgh, Pittsburgh, PA. For many years, I was employed as a Layout Artist, designing newspaper ads, TV storyboards & posters. 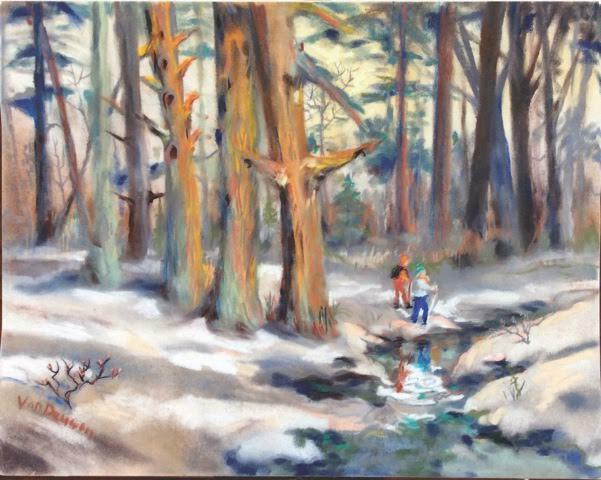 I've taken evening art classes at Memorial Art Gallery & Rochester Institute of Technology. These days, I’m a Substitute Teacher and teach Art classes at a local library. Also an avid gardener, I designed my home, which my husband and I built on our tree farm in the woods. 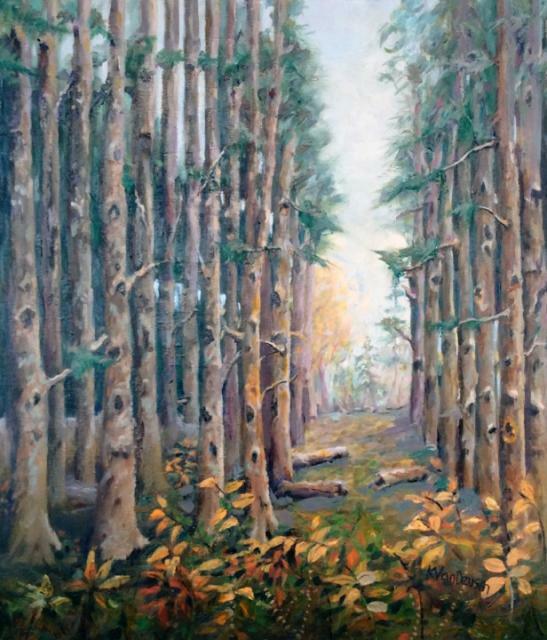 Our woods inspire my representational Landscapes. Happily, I’ve found a way to incorporate all my passions; into painting lovely homes & gardens, called "HOME PORTRAITS". 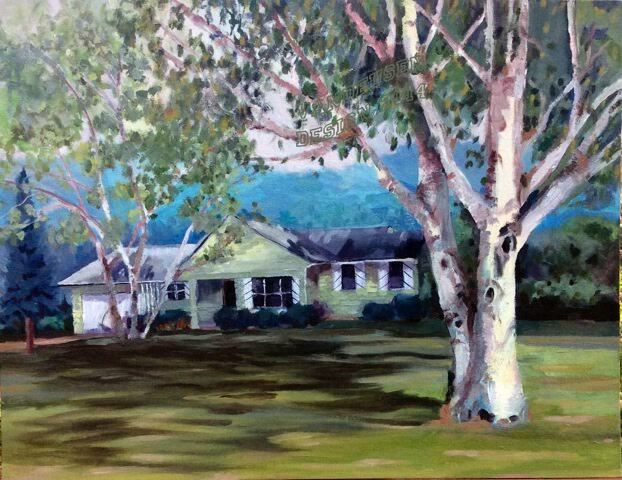 Commission painting of Homes, Gardens, Farms and Historic buildings are my specialty. Finally, I've illustrated two published book covers; one fiction, the other a non-fiction novel. VanDeusen Design paintings are in homes & offices internationally and across the United States. 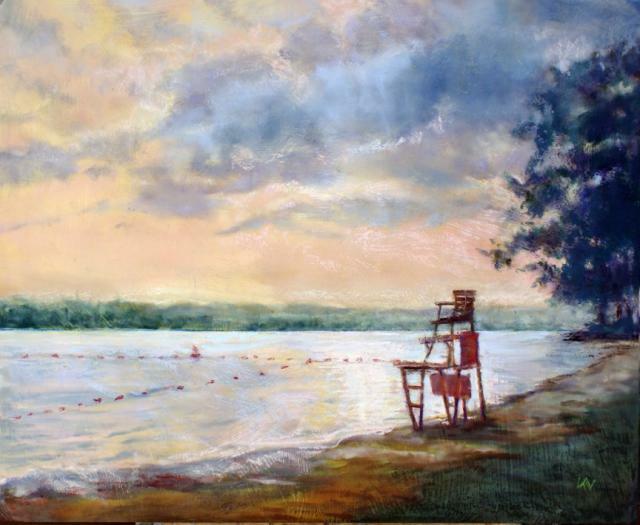 Customers comment my paintings relax and calm them with tranquil, impressionistic scenes, painted in Watercolor, Pastel, Oil or Acrylic.